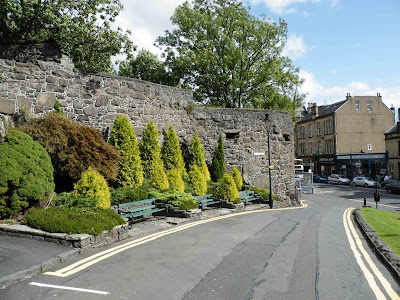 The old town walls of Stirling form part of a walk running the full circuit of the old town. The major part of the walk follows about a mile of almost continuous surviving wall...much of it original and intact. 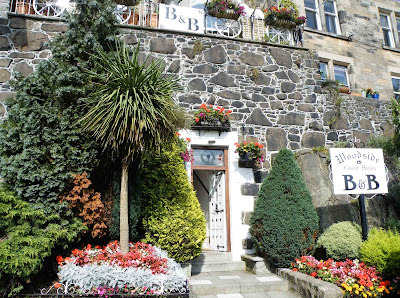 This one mile portion of the walk runs from the Tourist Information Centre on Dumbarton Road, all the way round to Ballengeich Road, just North of the castle. 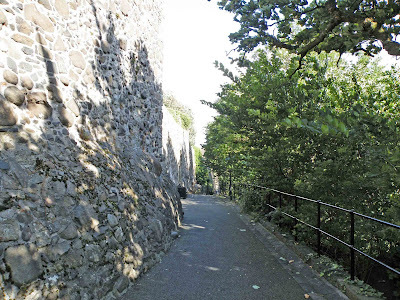 At Ballengeich Road you can leave the footpath, and follow the road round the base of Castle Hill, or you can continue along the footpath that eventually takes you to Gowanhill\Mote Hill. The whole walk constitutes the Wall Walk, and the Back 'o The Hill Walk.....well worth it. The old town walls are, where they are intact, immense...both in height and apparent thickness. 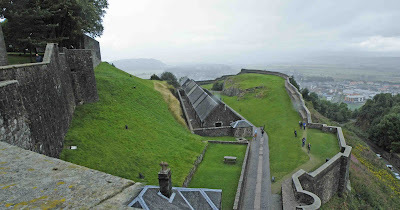 Mainly built between 1547 and 1548 and prompted by the threat of English aggression, they probably represent the most extensive surviving example of a Burgh fortification in the whole of Scotland. Parts of the wall are peppered with gun ports...some only a few inches across, others around two feet wide. 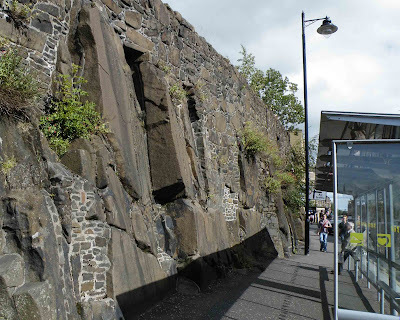 Where possible, it seems that the builders managed to place the town's wall on top of rocky outcrops, thereby giving the wall a much better stable foundation. 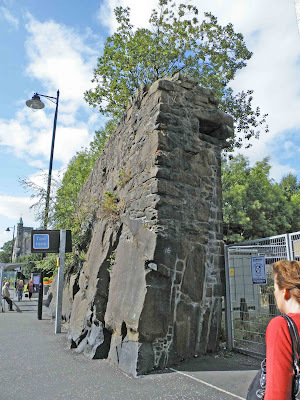 The photo above, just off Dumbarton Road, clearly shows two gun ports in what could be the base of a reduced round tower. The Woodside Guest House has even had its facade built into the wall. At various points along the Southerly surviving portions of the wall, house owners have, over the years, knocked through gateways through the wall. At various points along the route of the wall, heavily defended gates were built. 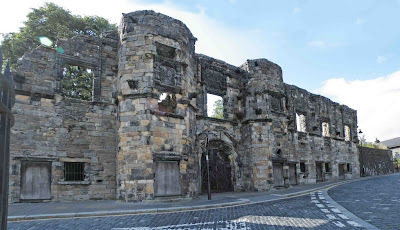 The main gate was the Barrasyett gate, and lay at the junction of Dumbarton Road and Port Street. There were also gates at Upper Bridge Street, Friars Street and near the Thistle Centre. 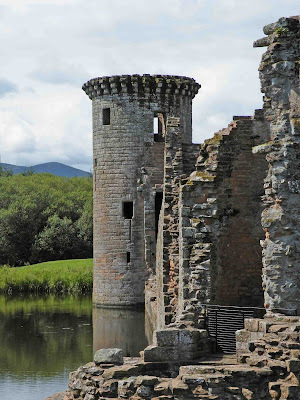 Caerlaverock is one of the three Royal castles of Dumfries and Galloway (the others being Threave and Kirkcudbright Castle Dykes) and lays about 12 miles South of Dumfries. From the centre of Dumfries, the B725 takes you along the banks of the River Nith, until it flows into Blackshaw Bank in the Solway Firth. It is at this point, that the Scottish coast is a mere twelve or so miles from the North Cumbrian coast. 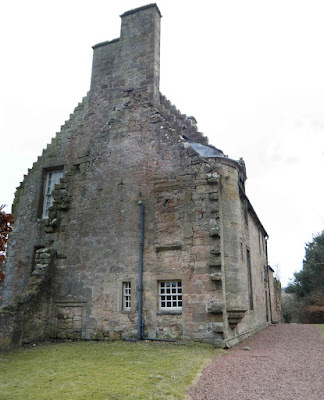 I would suggest walking around the bank that tops the moat firstly, as this will enable you to get a good look at the gatehouse, the surviving Western tower, the curtain wall and best of all, where the Southern portion of curtain wall has been destroyed, an almost sneak preview of the courtyard and its impressively decorated Nithsdale Lodgings. 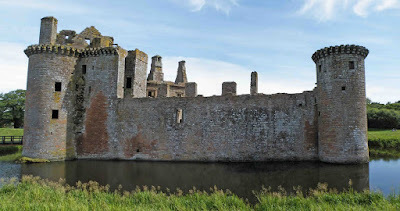 Caerlaverock is one of those castles that is instantly recognisable, with its twin towered gatehouse and triangular form, set in a wide water filled moat and surrounded by earthworks, ditches and embankments, and only a few hundred yards from the sea. 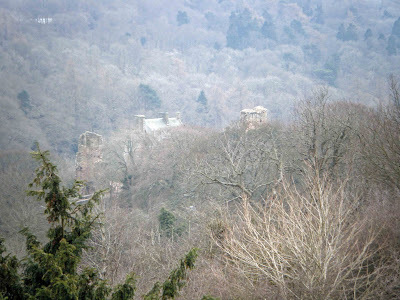 This castle was built, no doubt, to replace the smaller castle set back in the trees, and was probably erected by Aylmer Maxwell in the 1260’s. 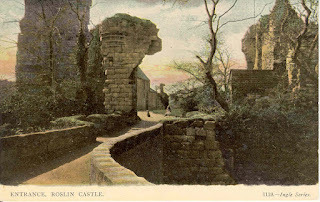 In 1300, the castle was besieged and eventually captured by Edward I of England. 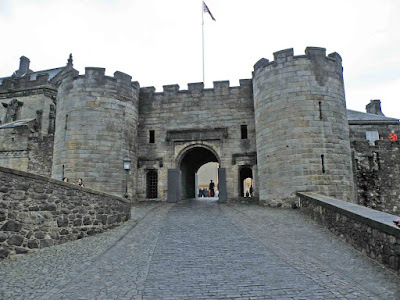 The siege involved around 3000 English troops and 87 knights, and included the use of several siege engines (examples of which have been reconstructed nearby). The castle’s occupants withheld the siege for a while until they decided to surrender the castle to the English. 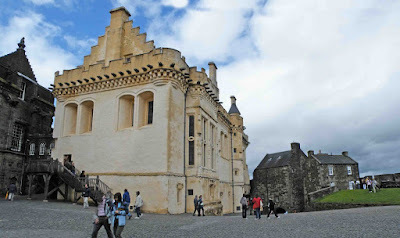 It must have been a surprise to see only 60 men walk out of the castle!! 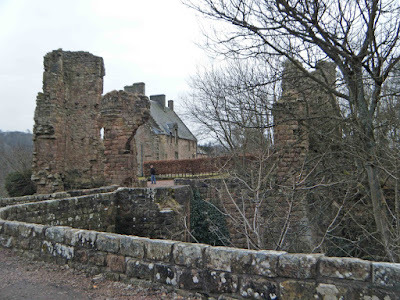 The English held the castle until 1312, when its keeper, Sir Eustace Maxwell decided his loyalties would be better off laid at the feet of Robert the Bruce. The English tried to retake the castle again, but this time failed. 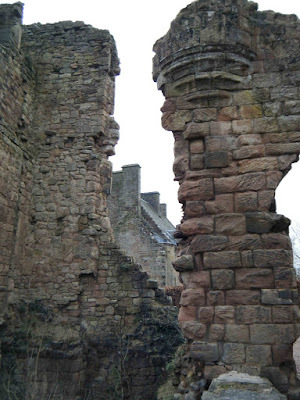 King Robert had the castle virtually dismantled to prevent it falling into English hands again (as he had done elsewhere in Scotland). 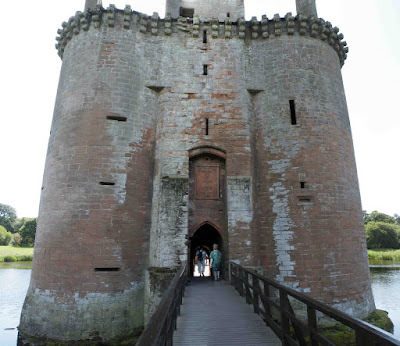 Hence….what we see today at Caerlaverock, dates mainly from a rebuild of the 1330’s. 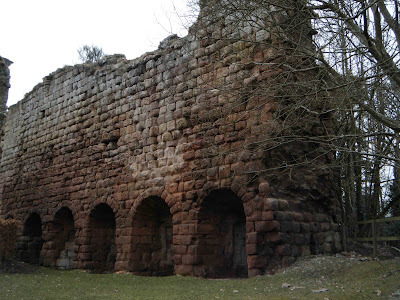 The only original parts are the foundations of the whole castle, most of the West curtain wall, the South West corner tower and the Western tower of the massive gatehouse. 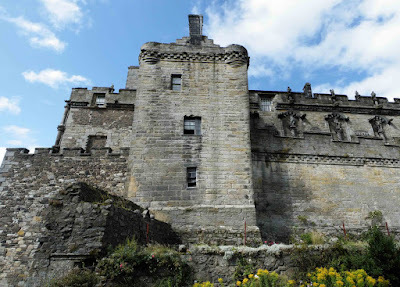 The castle was besieged once more by the English in 1544, and again in 1570. 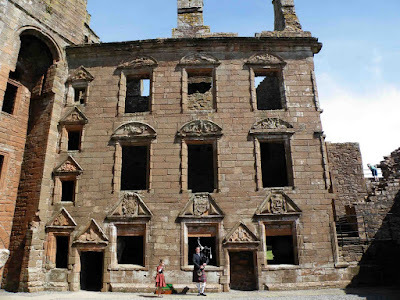 During the 1630’s, Robert Maxwell, the 1st Earl of Nithsdale converted Caerlaverock into a high status home, building the Nithsdale Lodgings against the Eastern curtain wall, and introducing much of the fine decorative stone work that can still be seen today. During the Civil war of the 1600’s, the Maxwells sided with King Charles I, and subsequently came up against the Scottish Covenanter’s army in 1640. 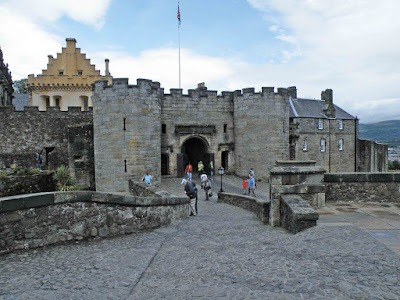 The castle was besieged for a total of thirteen weeks before it was finally surrendered. 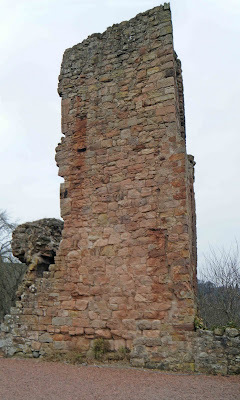 The results of the siege, and the Covenanter’s ransacking of the castle can still be seen today, the Southern curtain wall was demolished, and the South Eastern tower was reduced to chest height.…none of the damage has ever been repaired. The castle was already popular with visitors to the area by the end of the 18th century, when the Duke of Norfolk handed it to the Ministry of Works, its future seemed secured. 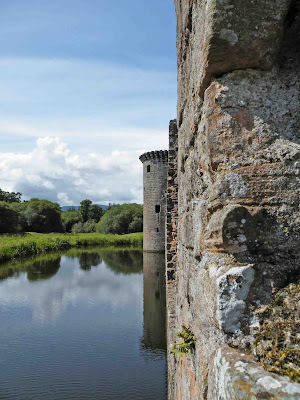 Today, Caerlaverock Castle is managed by Historic Scotland. A view of the castle looking towards the now demolished curtain wall at the Southern end of the castle. The South Western tower is still intact, and does not contain any fire places...suggesting that this structure was built purely as a military tower. The corbels visible at the top, would suggest that a wooden structure would have been mounted here. The footings of the demolished South Eastern tower can be seen to the right of this photo. The above photo shows the Western wall of the castle. Most of these structures, including the tower of the gatehouse (at the left of the photo) and the South Western tower (at the right of the photo) are original, and probably all date from 13th century. 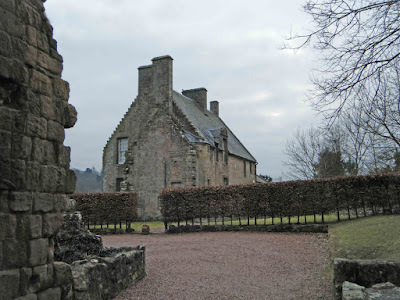 The Nithsdale Lodgings are shown in the photo above, complete with piper and rather bored looking dancer (there was a wedding at the castle the day we visited) The lodges were built in 1634 by Robert Maxwell, 1st Earl of Nithsdale, and would have provided accommodation to replace the suites in the gatehouse. A view of the complete South Western tower from the site of the demolished South Eastern tower. Apparently there are otters in the moat....my wife thinks she may have seen one....and not a glass of wine in sight!!! 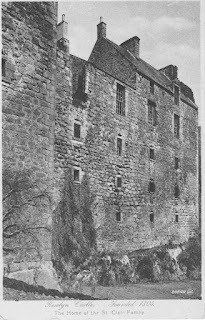 An excellent view of the castle from the South....clearly showing the standing tower, the Nithsdale Lodgings and the footings of the demolished curtain wall. Another view of the South Western tower.....and below...a photo of all that remains of the South Eastern tower. I would highly recommend visiting this castle. 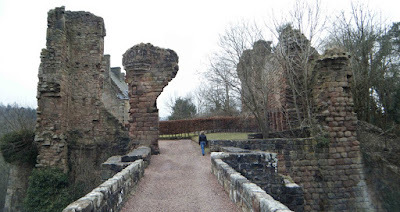 It's a bit of a drive out of Dumfries, but once you're there, it's stunning location makes for a good few hours of exploring....and don't forget to visit the old castle! 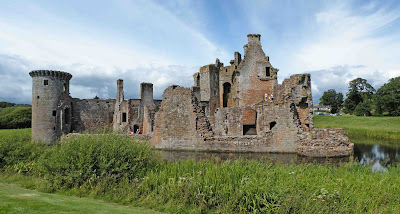 Caerlaverock is one of those great sites that not only offers you a beautiful medieval castle, in the most dramatic settings you could imagine, but also springs a surprise on you….a second castle, hidden a few hundred yards away, whose remains represent the original fortress built here. The old castle can be found to the South East of its larger cousin, hidden in the wooded walks that lay behind the main castle. The remains have been excavated, consolidated and labelled so it is easy to see what you’re looking at. 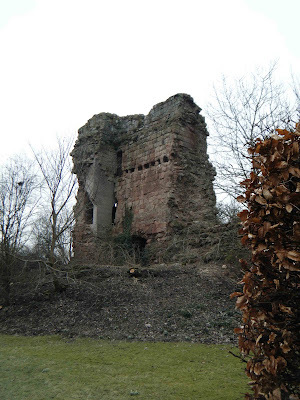 It is thought that this castle was built some time between around 1225 and 1250, by John Maxwell, and consists of several periods of building, ending with its abandonment in (probably) the late 1250’s. 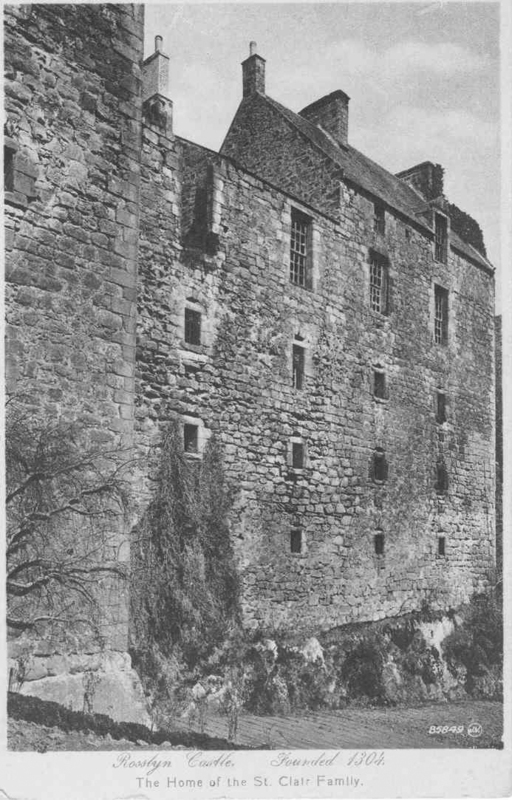 The castle’s footprint is somewhat irregular, with four corner towers which would originally have measured around six metres square, a ‘lozenge’ shaped courtyard measuring some twenty five metres by twenty five metres, a large hall in the west end of the courtyard and a gatehouse facing North. The footings, excavated and consolidated stand at ground level, and it’s almost like walking around a diagram, a floor plan of a building. The wooden footbridge passes over the single but wide ditch, slightly to the left of the footings of the gatehouse. The site of the walls and the towers are plain to see, as are the hall and a range of buildings set against the Southern part of the castle’s wall. 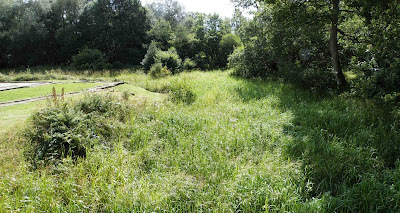 Before the castle was excavated (in 1998) all that could be seen of the remains, was a grassy knoll lying in the center of a well defined moat. 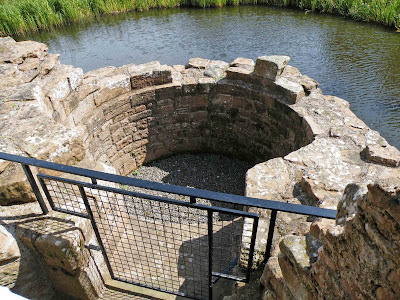 Over time, as the top soil was removed, the castle's curtain wall, inner buildings and corner towers were gradually uncovered, as well as a small harbour to the South West closer to the Solway Firth. 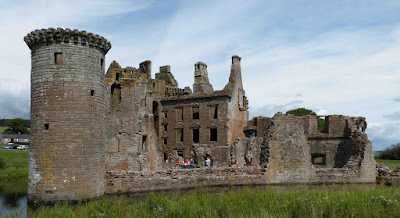 I can’t find much more information on this castle, the reasons it was abandoned for example…but as I find more information, I’ll include it here.